Join The Idea Fountain, and in just five days I will help you generate a list of 30 salable story ideas for magazines or blogs. Ever heard the saying "Write what you know," but felt like you didn't know anything of importance? In this challenge, you will learn a proven technique for looking at your life and gleaning top article ideas from it. When you sign up below, you will receive an email introduction. Then, the following five days you will receive a short assignment. Want some support? Ask a friend to join you. Two heads are always better than one! At the end of the five days, you will have 30 salable ideas to submit to editors. 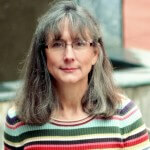 Carol J. Alexander has been a freelance writer since 2007. Her work has been published in BackHome, Grit, Hobby Farms, Urban Farm, From Scratch, Home Education, The Old Schoolhouse, and in regional parenting, senior, and lifestyle magazines all over North America. She is the managing editor of a regional lifestyle magazine and the content director for a niche food blog. I am so glad you chose to join me for The Idea Fountain: Five Days to 30 Story Ideas. Always having an idea to pitch to editors keeps your work flowing like a fountain! Please be sure to check your email inbox to confirm your email address. Once confirmed, your fountain will begin to flow!